In mid 1944 the cockpit of a German night fighter was a very busy place, not the least for the radio-operator (Bord-Funker). He would be operating 2 radios (FuG 10 and 16 ZY), a radar (some version of the Lichtenstein), watch the FuG 227 Flensburg for indications of Monica emissions, or the FuG 350 Naxos for H2S emissions, operate the radio compass in order to obtain fixes, plot the fighter position and give the pilot a course to steer when performing Gebietsnachtjagd. It was becoming increasingly difficult for the JD to find a frequency, which was not jammed and on which, the Reportage could be transmitted. The radio operators cockpit in a Bf 110G-4. A small number of FuSAn 724/725 "Bernhard" UKW-Richtstrahl-Drehfunkfeuer were already in operation. 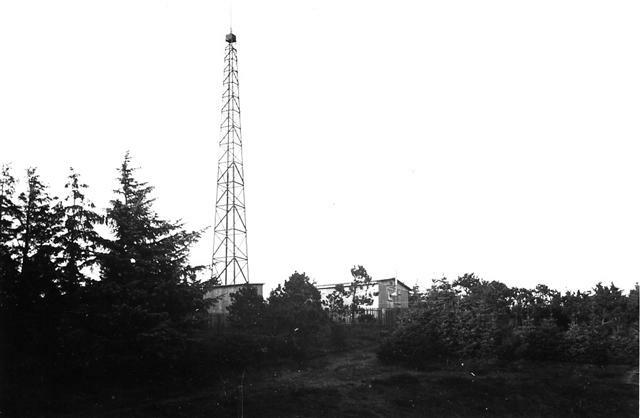 The system consisted of a very large antenna (please see below) which rotated 360 dg. twice a minute. The receiver in the aircraft (FuG 120 "Bernhardine") displayed the bearing to the station on a narrow paper strip. The system was modified to transmit a very abbreviated Reportage Lage consisting of the height of the Bomber Stream, the position, heading and strength. The system worked on 30 - 33,3 Mhz, was high powered, directional and hence very difficult to jam. 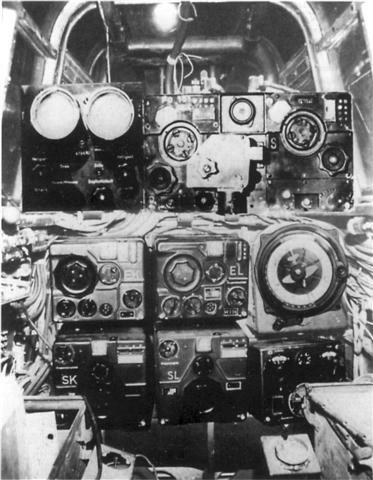 By switching between 2 stations the radio operator could obtain a fix every 1 minute and he did not have to work 2 radios to find a jamming free frequency. 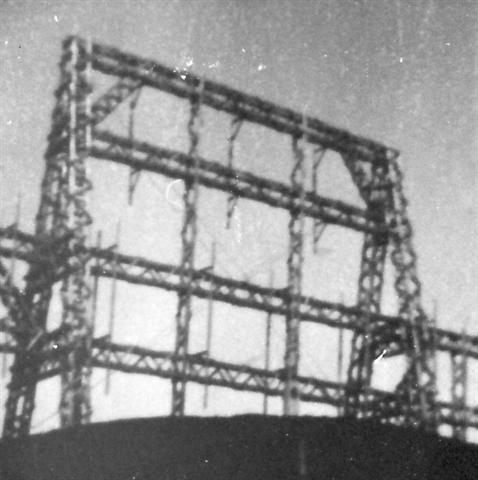 FuG 120 "Bernhardine" display equipment. Sample message. 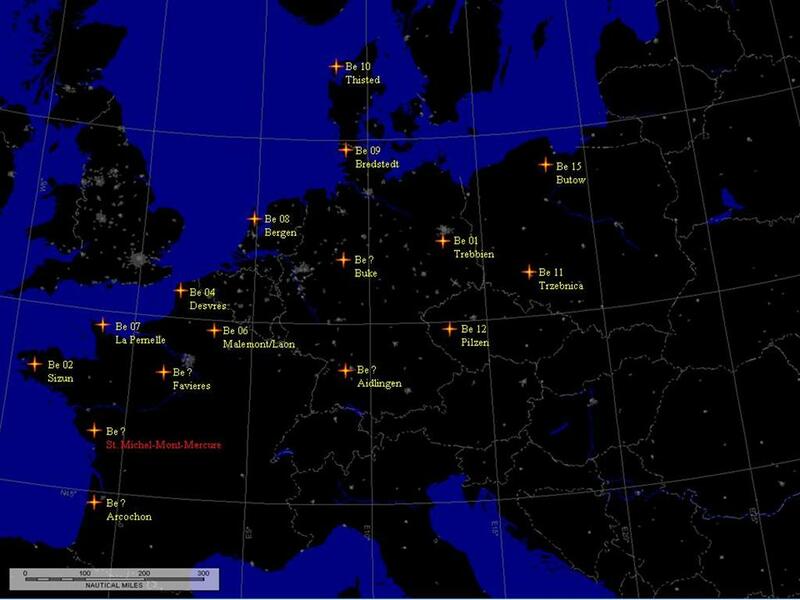 The night fighter is on bearing 090 from the station, the point of the Bomber Stream is at an altitude of 4.000 m, at map grid KA, on heading 270, estimated strength 100 aircraft. x is the identifier of the station. FuSAn 724/725 "Bernhard" stations. Some of them might never have been modified to transmit the Reportage. 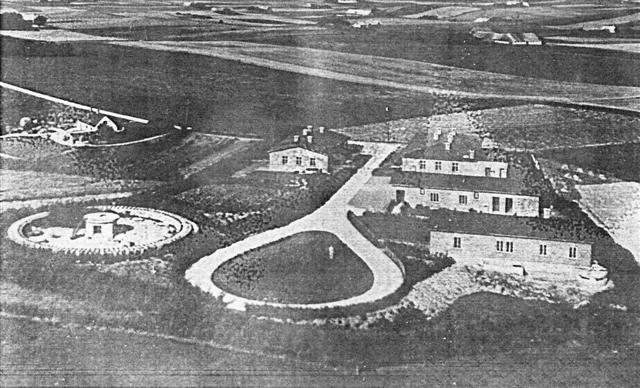 One such system was established in Denmark at Hundborg, Thisted. 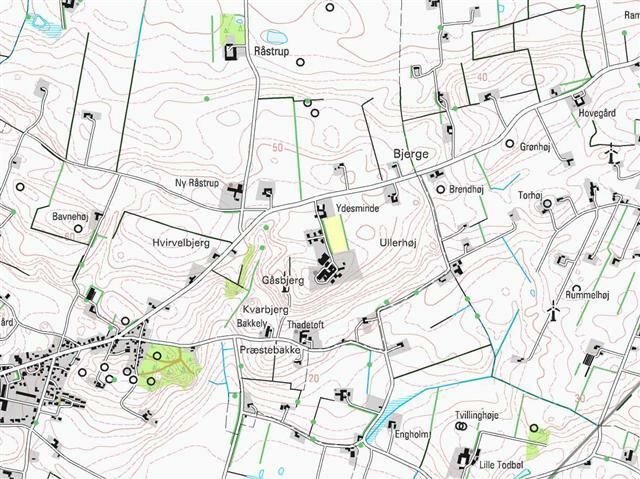 This site was established in the spring of 1942 and must have been operational around mid may 1942, since a guard platoon was assigned at that time. It was used as navigational aid for maritime reconnaissance aircraft operation over the North Sea. It was modified to transmit the Reportage Lage in January 1945. Map of location. 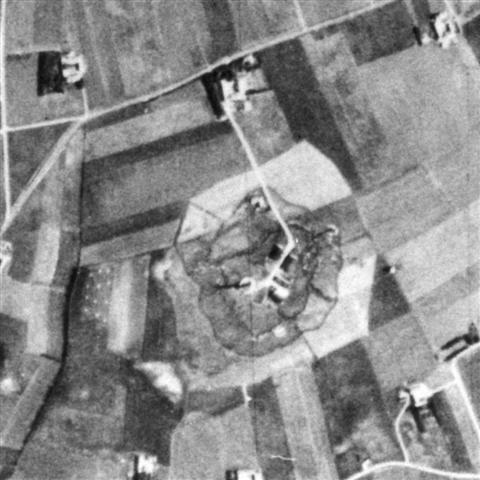 Aerial view 1945. The Bernhard at Hundborg. 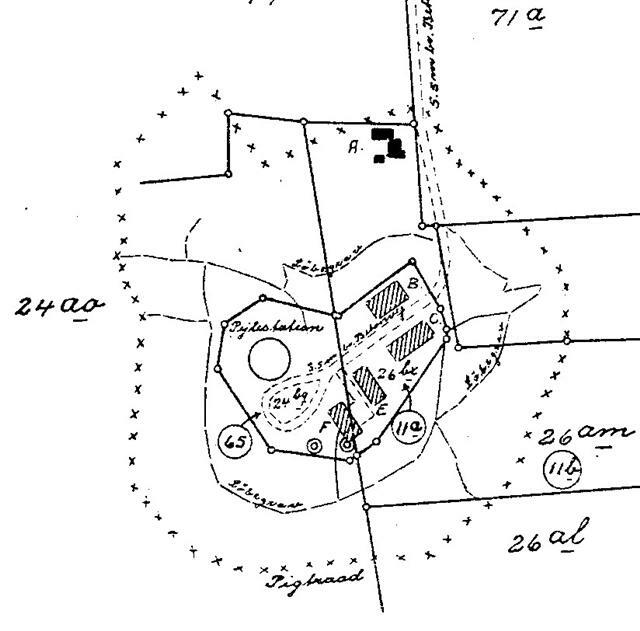 Immediate post war map of the site. A decoy erected 1 km west of the site. The site after the antenna had been removed.. 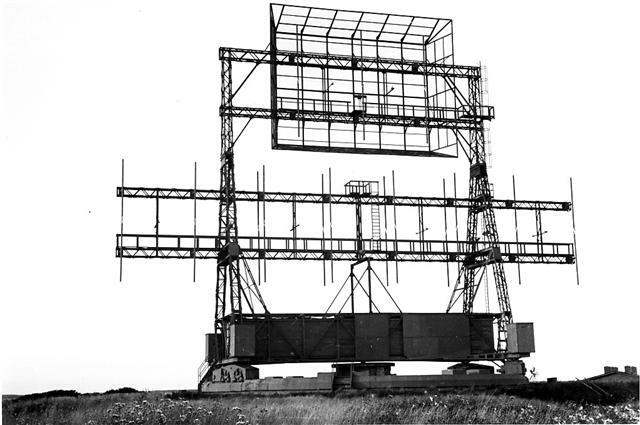 Receiving station, which monitored the signal. The central construction, which housed the driving mechanism. The inside of the central construction. Close up of ring foundation. The system rotated on eight sets double boogies, which ran on two concentric rails, see below.